Hillsboro, WV: Rich in history & home of Pearl S. Buck, Nobel & Pulitzer Prize Winning Author. This home has huge potential & has had all the expensive updates completed: new roofing, plumbing, electric, windows, insulation, etc. Home offers 3-4BR's & 2BA's OR a main level (1BR, 1BA apartment with an upper level (3BR, 1BA) apartment. Both main & upper level have kitchens & washer/dryer hook ups! 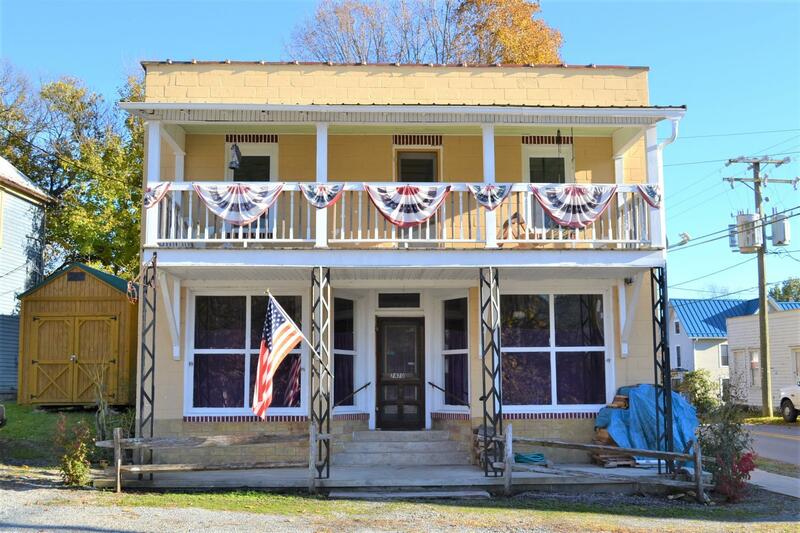 Main level offers a large covered front porch & rear open patio. Upper level has a large covered balcony. Pretty built in shelving. Lots of storage that includes a 1,365 sq ft basement. A nature lovers dream; this property is just minutes away from Watoga Lake & State Park offering a swimming pool, excellent trout fishing & nature trails. Motivated Seller looking for offers!